Summer in the South - Southern Bride Magazine: Sara Fried with Fete Nashville contacted us to work on a styled shoot with some talented local vendors. 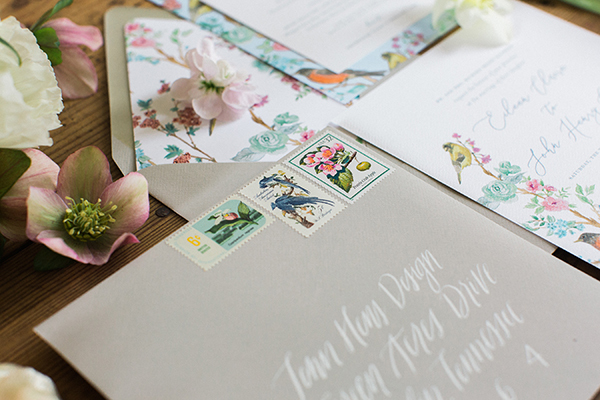 We teamed together to come up with this beautiful spread of inspiration for brides out there. Our part was the paper goods so we watercolored a bird pattern and ran from there. 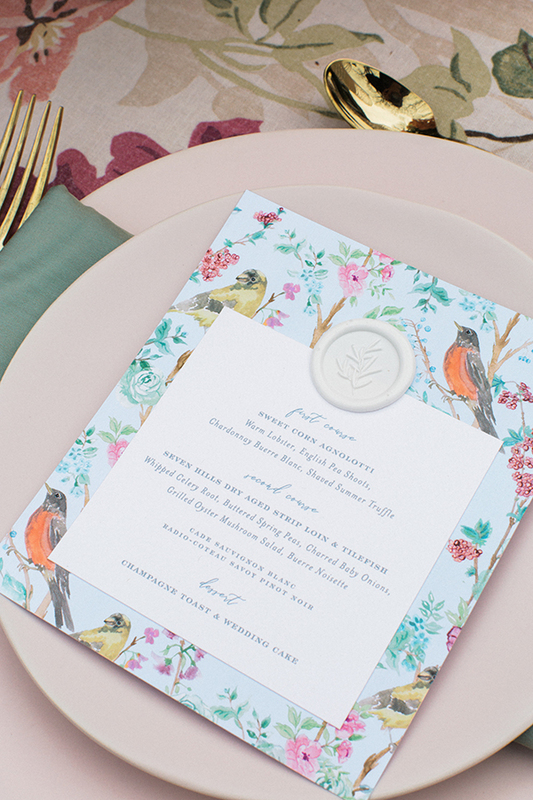 A pretty invite and a menu with a wax seal detail. The flowers and linens really tied it all together.